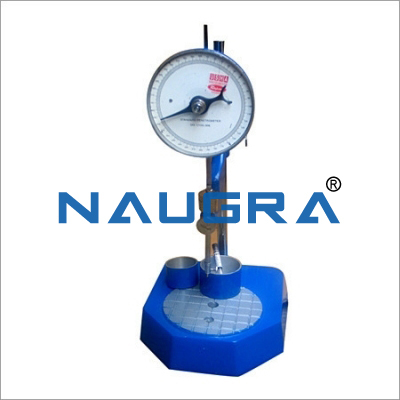 Used for determining the Viscosity of fuel oil and lubricating oil both thin & thick. 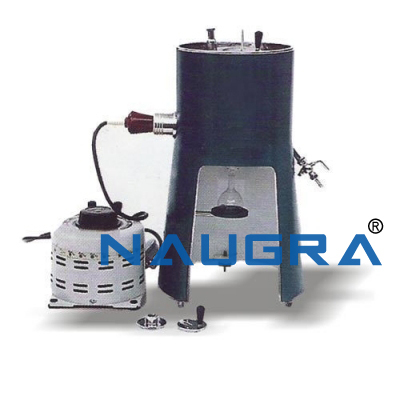 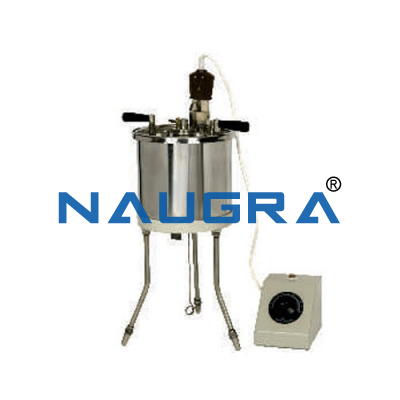 The apparatus consists of Stainless Steel bath with oil cup which is centrally placed in a water bath. 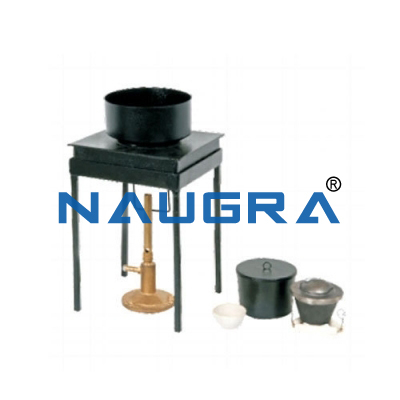 The bath has a lid which contains a water cooling tube, two handle with two stirrer blades, thermometer socket and a straight heater, stirring is done by turntable arrangement. 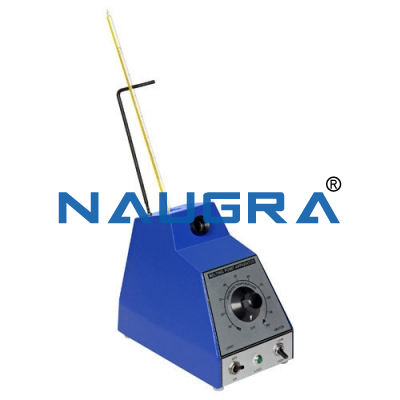 A thermometer can also be inserted into the cup cover. 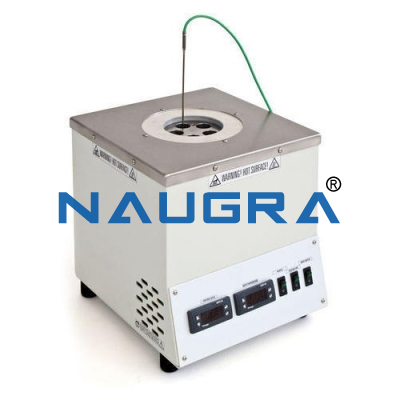 The jets one universal and one Furol can be screwed to the cup by a handle (without strainer, withdrawal tube and glassware) can operate on 220 Volts AC mains. 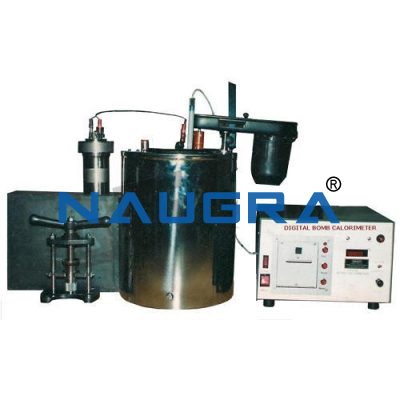 • Fuel Oil OR Lubricating Oil sample. 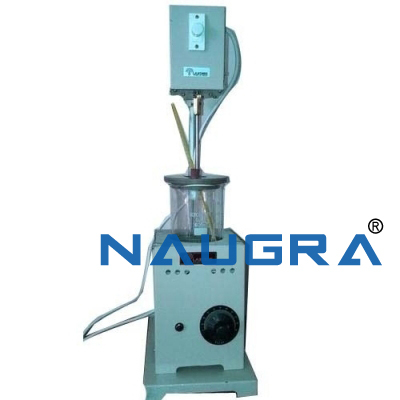 Other Related Teaching Lab Products, Scientific Instruments and Educational Equipments like SAYBOLT VISCOMETER APPARATUS. . .